Ola is the third most valuable start-up in India. Mumbai: Though heavily funded by foreign investors like Japanese SoftBank Group, leading cab aggregator Ola has said government should bring in regulations to stop "capital dumping" which is distorting the market. 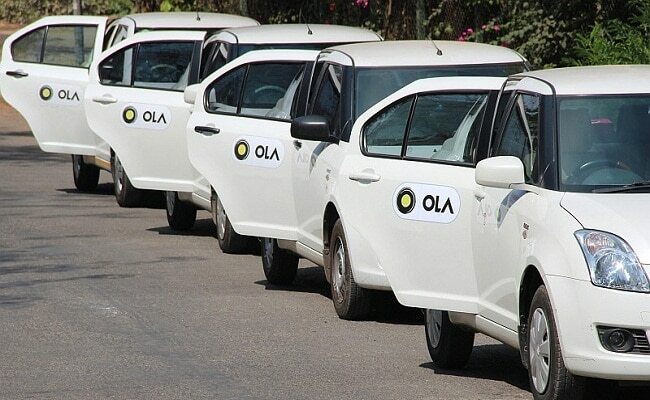 "There is an urgent need for adequate regulation to curb predatory pricing and capital dumping in the ecosystem in the interest of co-existence of all players in the ecosystem," Ola chief operating officer Pranay Jivrajka told PTI over phone from Bengaluru. The comments are interesting as Ola has secured foreign capital worth over $1.2 billion from investors like SoftBank, DST Global, Accel Partners and Sequoia Capital, among other players. It is scouting for another round of funding from the Japanese company and others. Media reports said Ola, the third most valuable start-up in the country, is looking at raising around $600 million in this round. Asked about this, Mr Jivrajka said the company is adequately capitalised now and that as a policy, it does not comment on market speculation. He evaded a direct answer when pointed out that his own company is almost fully funded by foreign capital, saying capital should not be used just to offer disruptive pricing. "Capital should be used for sustainability," he added. On predatory pricing, he said Ola's prices on an average are 20 per cent higher than Uber's and in almost all cities where the American firm is not present, the Bengaluru-based start-up's operations are profitable. Broadly welcoming the recently released Maharashtra City Taxi Rules of 2016, Mr Jivrajka said the policy is forward-looking, comprehensive and inclusive in nature. "We made three recommendations to Maharashtra. The most important is the need for a review of the proposed high licence/permit fee of Rs 2.61 lakh for vehicles of 1,400-cc and above as this is bound to fall heavy on drivers as they never factored in this while taking their loan and will add over 30 per cent capital burden for them," he said. He said this high cost of permit is not there in any other state. Karnataka, Delhi, Kerala and Chandigrah have come out with regulations for cab aggregators but none of them have such high permit fees, he added. Mr Jivrajka said this high entry cost will be deterrent to entrepreneurs and would eventually make rides costlier for customers. Ola also wants a review of the rule that makes it mandatory for an operator/aggregator to have 50 per cent fleet with above 1,400-cc engines. "Fleet composition should be best left to the choice of drivers which is done according to the demand from consumers," Mr Jivrajka said, adding that Mumbai does not need so many premium taxis. Ola is present in 102 cities and claims over 4,50,000 drivers on its platform with cabs, auto-rickshaws, taxis and bike taxis (in Gurugram). Uber too had sought review of these norms while welcoming the rest of policy proposals. According to Uber, the proposed stipulation that more than 50 per cent of the vehicles on ride-sharing platforms should be over 1,400cc would result in disappearance of economical and fuel efficient vehicles from the platform. "It also takes away the freedom and flexibility of drivers to have the vehicle of their choice, forcing them to buy more expensive cars which will in turn increase fares," Uber had said, adding that capping pricing prevents market forces from determining lower fares when possible.